Metro plans to close the six Blue and Yellow Line stations that will be shut down all summer the first weekend in May — and possibly other weekends leading up to the monthslong closure that begins May 25. The closure May 4 and 5 will be used to begin setup and preconstruction work while also allowing Metro to test shuttle bus operations. “Additional weekend outages may be necessary before the start of around-the-clock construction on Saturday, May 25,” Metro said. 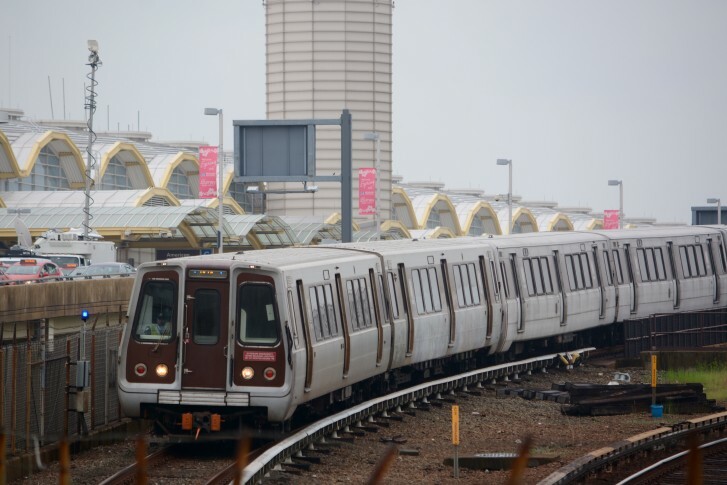 During the May 4-5 closure, Metro plans to run only local shuttle buses, not the express service between Franconia-Springfield or Huntington and the Pentagon that will also be running during the summer closure. The local shuttles are a Yellow Line replacement stopping at Huntington, Eisenhower Avenue, King Street, Braddock Road and Crystal City, and a Blue Line replacement stopping at Franconia-Springfield, Van Dorn Street, King Street and Reagan National Airport. The Blue Line shuttles will not stop at Braddock Road and the Yellow Line shuttles will not stop at the airport, but instead will go to Crystal City. Beginning April 14, other changes will be in place outside the stations that will require bus riders to adjust their commutes. Regular bus stops will close; all or parts of Kiss & Ride areas will be shut down, and temporary bus stops and drop-off areas will be marked out in April and early May at Huntington, Van Dorn Street, Braddock Road and Eisenhower Avenue. The changes are meant to provide staging areas for construction equipment and to keep riders and buses away from heavy construction this summer. At Huntington, bus bay and Kiss & Ride closures on the north side of the station are scheduled to start April 14. At Van Dorn Street, the Kiss & Ride lot will close April 14, with a temporary drop-off zone set up near the parking lot. Starting April 28, the usual bus loop there will close, and all bus stops will be in the Kiss & Ride area. At Braddock Road, the Kiss & Ride lot is scheduled to close April 22, with a temporary drop-off zone on North West Street. On May 4, all bus stops at Braddock Road will be shifted to temporary locations in the Kiss & Ride lot or south of the station. At Eisenhower Avenue, about half of the Kiss & Ride lot is scheduled to close April 21. All bus stops will be moved out onto Eisenhower Avenue.